I'm not the biggest fan of hippopotamuses. Not just because they look like mutant manatees who have somehow grown legs and inspired one of the most overhyped board games of all time, but also because they're murderers. A whopping 2,900 people are killed annually by hippos in Africa every year. 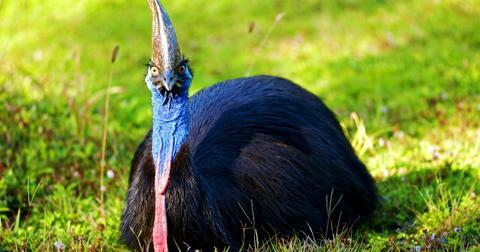 That's more than sharks, lions, cassowaries, and other dangerous as hell animals, so don't let their chunky appearance fool you; they're stone cold killers. But, that doesn't change the fact that baby hippos are utterly adorable. I mean look at 'em. And although hippos and humans are wildly different, it turns out that we have at least one major thing in common with them: We both really, really like showers. 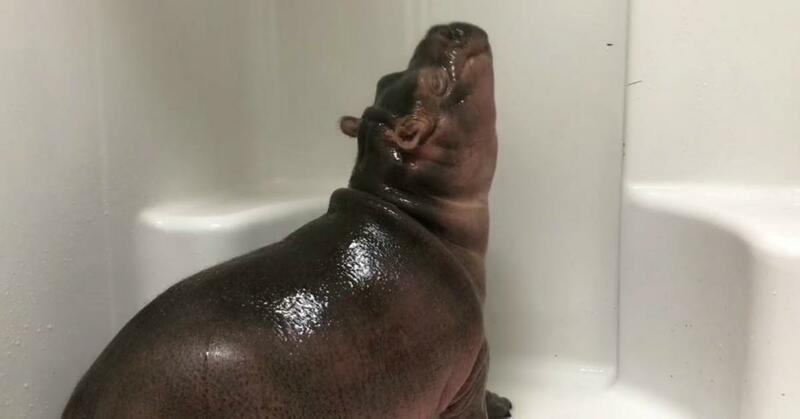 Which is evident from seeing the zen-like trance this newborn baby hippo, Fiona, experienced when she entered a shower. As the water trickles down on her, she turns her head up and gives the cutest, most satisfied hippo smile. Fiona played and enjoyed the stream of water until she eventually took a nap with the water still running. Now, I've never napped in a shower, but it's good to know that hippos value the private time to unwind as much as humans do. Maybe shout that piece of common ground if you find yourself face-to-face with a hippo who's about to trample you to a bloody pulp.